If you’ve grown up in Los Angeles, the Northridge Earthquake is a memory that’s hard to shake. On January 17, 1994 a 6.7 magnitude earthquake struck the San Fernando Valley at 4:31 am. The devastating temblor killed more than 60 Angelinos, injured some 9,000 people and left the valley and many areas of Los Angeles county in ruin. The shaking was felt as far away as Las Vegas, Nevada. Apartment complexes were split in half, buildings crumbled, homes were destroyed, and freeways collapsed. In addition to the widespread damage the quake caused throughout the affected areas, raging fires from erupted gas lines swept through neighborhoods and floods from broken water mains flooded the streets. The earthquake cost an estimated $20 billion in property damage, leaving 681,000 residents and businesses in need of federal disaster aid, in addition to displacing some 20,000 people from their homes. Tragically, many of these lives could have been spared and injuries avoided with proper earthquake retrofitting of these at-risk apartment buildings, commercial real estate and homes. Luckily, So. Cal’s made some progress since the Northridge earthquake. Cities like Los Angeles, Santa Monica and West Hollywood have made real strides in seismic retrofitting of vulnerable buildings in their regions, and Los Angeles just released an app to notify residents before a large earthquake occurs. Since the Northridge earthquake, seismologists have discovered even more active faults under Los Angeles, and identified vulnerable concrete skyscraper structures in some of the region’s most populated areas. In fact, the Uniform California Earthquake Rupture Forecast predicts there is a 93 percent probability of a 7.0 or larger earthquake occurring in California by 2045, with the highest chance of it occurring along the San Andreas fault system. And when the “Big One” does strike, FEMA and other first responders won’t be able to respond to the damage for at least three days or longer. Now 25 years since the Northridge earthquake, it’s important that as an Angelino you protect yourself, your loved ones and your home. If you own a soft story building or live in a house that was built before 1963, there’s a good chance the property and its foundation need earthquake retrofitting. 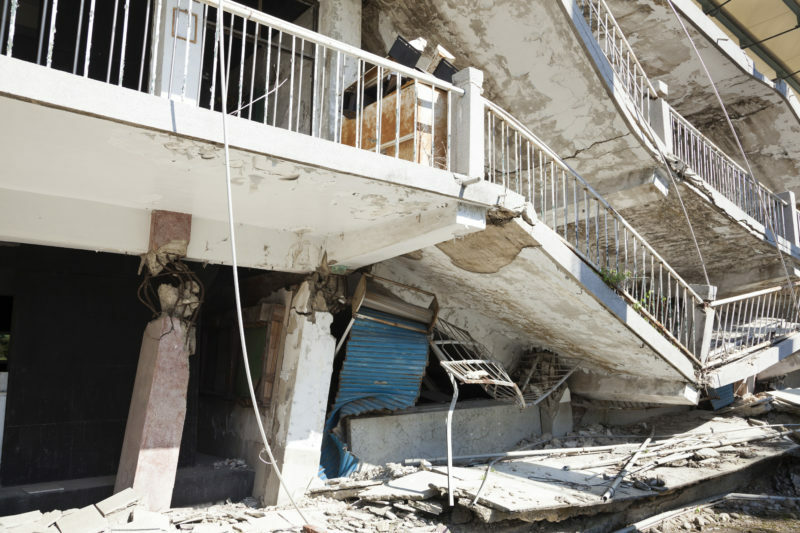 Earthquake retrofitting adds the necessary reinforcement to older structures to help these properties withstand the side-to-side and back-and-forth shaking of a large earthquake, which ultimately prevents collapse and foundation damage. In addition to adding reinforcement to your home structure, be prepared to sustain life without electricity, water and communication for at least three days. You’ll want to have an earthquake survival kit in an easily accessible location.